Scott Jones pouring a pint of Oltree Cider at the Arequipa Craft Beer Festival. Down in southern Peru in the colonial “White City” of Arequipa sits an Englishman and a mound of apples. He is Scott Jones, who, as far as he knows, is the only qualified cider maker in Peru, and the only dedicated cider producer in the country. Scott’s cider-making journey in Peru began with his Crazy Llama brand, launched in 2014. Then, when Scott found out the Red Bull group had trademarked a similar name, he decided a relaunch was in order. 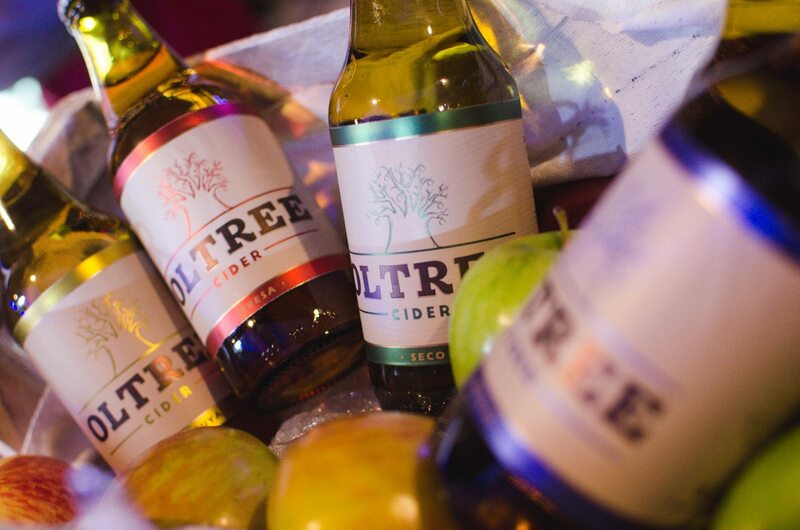 The rebranding began in January 2017 and resulted in Oltree Cider, a crisp, clean, 100% natural apple cider available as dry, medium, and sweet, as well as strawberry and maracuya (passion fruit) varieties, all at 6% alcohol by volume. With the rise of Peru’s craft beer movement in the last few years, Scott was hoping to see someone start producing cider, his drink of choice back in the U.K. But after waiting for a year or so, his thirst for cider forced Scott to take the situation into his own hands. Back in the brewery, it all begins with the apples, which Scott buys from just outside Lima. On average, Scott gets through about four tonnes of apples each month. Craft beer has established a strong foothold in Peru’s larger and more touristic cities, but it’s still not part of the wider culture. Selling cider to Peruvians is an even greater challenge, as cider (sidra) is pretty much an unknown alcoholic beverage in Peru. And the cider that can be purchased here, well, it’s not great. Oltree cider is currently on sale in three of Peru’s major cities. In Lima, you can find it in the Barbarian taproom and at Houlihans Irish Bar. In Cusco, you can buy Oltree at Paddy’s Irish Pub, Norton Rat’s Tavern and Nuevo Mundo Draft Bar. And in Oltree’s hometown of Arequipa, you’ll find it on sale at Chaqchoa, Chelawasi and Kiwi Corner. 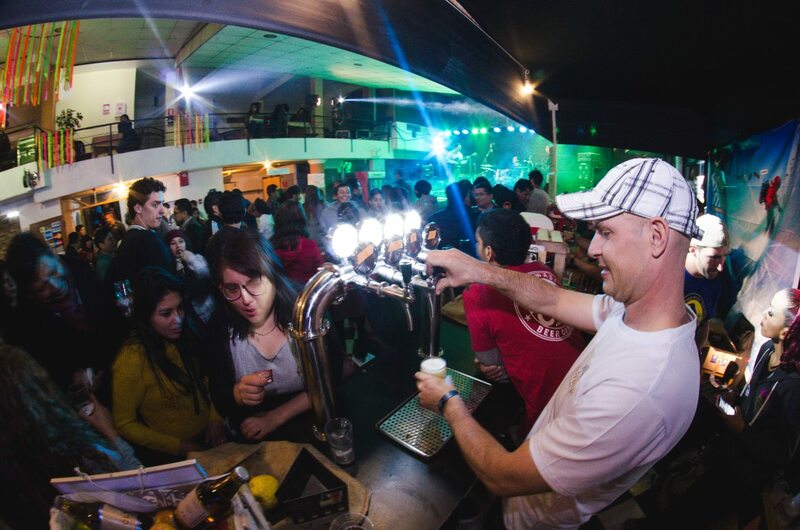 You’ll also find Scott representing cider at some of the beer festivals now taking place more regularly in Peru. 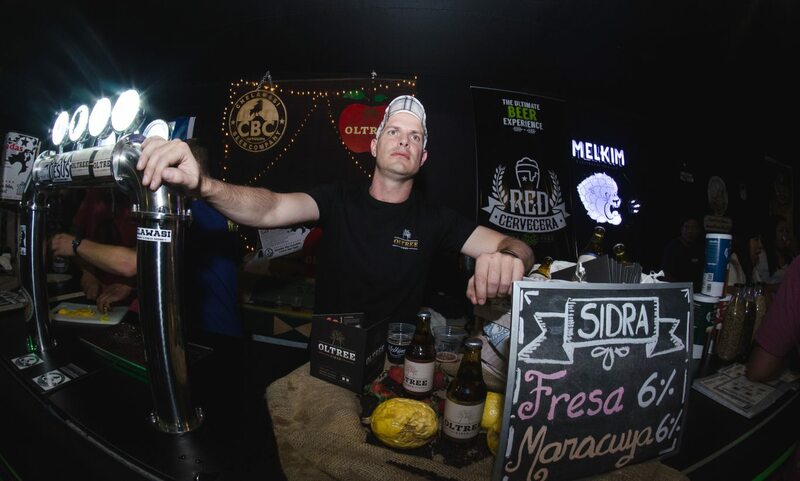 In May 2017, Scott took part in the IV Festival de Cerveza Artesanal Arequipa (IV Arequipa Craft Beer Festival; see facebook.com/festaqp for future events) — again, as the sole cider-maker on the scene. It could be a while before we see a dedicated cider festival in Peru. But hopefully more Peru-based brewers will start making cider, helping both Scott and cider make further advances into Peru’s national drinking culture. Scott Jones: bringing craft cider to Peru.